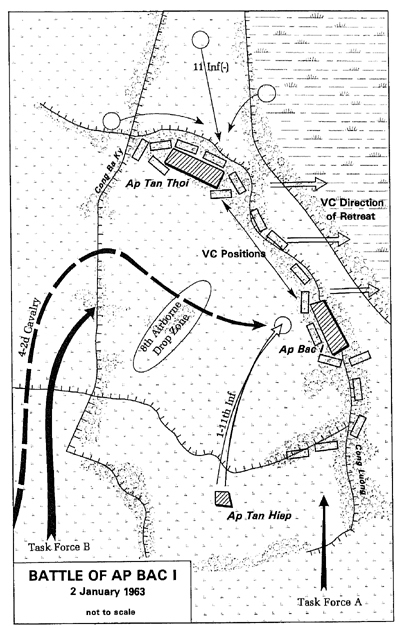 The Battle of Ap Bac was a small-scale battle early in the Vietnam War which resulted in the first major combat victory by the Viet Cong against regular South Vietnamese and American forces. 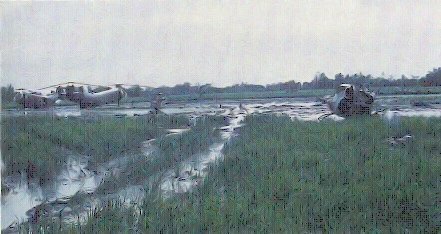 The battle took place on January 2, 1963, near the hamlet of Ap Bac, 65km (40 miles) southwest of Saigon in the Mekong Delta. Forces of the 7th Division of the Army of the Republic of Vietnam (ARVN), equipped with armored personnel carriers (APCs) and artillery and supported by American helicopters, confronted entrenched elements of the Viet Cong 261st and 514th battalions. The Vietcong suffered 18 killed and 39 wounded. Though most later withdrew from the hamlet during the night, they had turned back a larger force equipped with armour, helicopters and airbone troops. ARVN losses were 80 dead and 100 wounded, with three U.S. advisers killed in action and another eight wounded. A battlefield monument lists that nine helicopters (an inflation from the clear battlefield total of five) and three M113 armored vehicles were destroyed. Ap Bac represented a significant milestone in the war. The communist forces considered it to be their first big success, fully exploiting their victory for propaganda purposes. 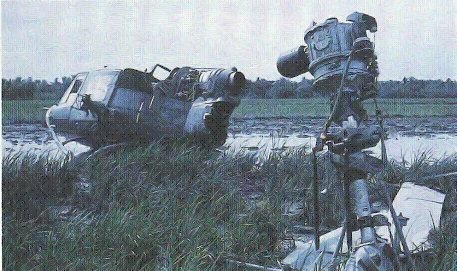 More importantly, they had successfully developed tactics to counter the technological advantage the U.S. provided the South Vietnamese, this was done by being so close to the ARVN and US forces that they could not use air attacks without killing their own men. With the success of Ap Bac, the North immediately began planning for a full-scale war in the south. Pham Xuan An, whose information helped prepare the Vietcong for the battle, received an NVA medal for his contribution to the Vietcong victory at Ap Bac.